Kakemono X-banner: This kakemono has a timeless and elegant design and will allow you to make your stand more visible and attract more prospects. Delivered in a bag for convenient transportation ! Free Printing ! Light aluminum Roll-up The standard, practical and light kakemono. Essential to every type of stand for an effective visual communication.Available in several sizes, and in double printing!Free delivery in 6 working days!Express delivery in 2 working days on request!Include printing! 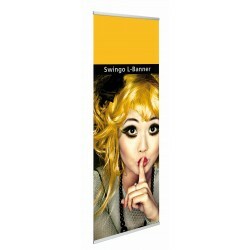 L-banner : This L-banner is designed to bring you in a few moments a strong visual impact on your stand. Delivered in a bag for convenient transportation ! Free Printing ! 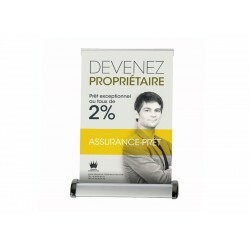 Cheap advertising roll-up : This roll-up is cheap and endowed with the roll-up system for a convenient storage, and is intended for the organization of your trade shows or exhibitions. Delivered in a bag for convenient transportation ! Free Printing ! 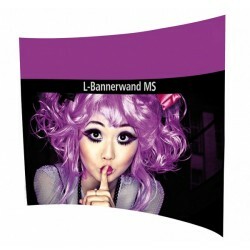 Pop-up L-banner with reinforced support : This kakemono L-banner with reinforced support is designed to guarantee an excellent visual impact at trade shows or exhibitions. Delivered in a bag for convenient transportation ! Free Printing ! Premium roll-up kakemono : This aluminum kakemono of very high quality brings you the necessary equipment to bring an excellent visual impact to your stand ! Delivered in a bag for convenient transportation ! Free Printing ! 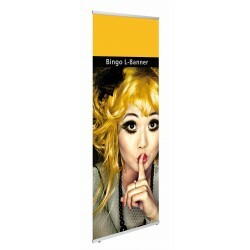 Banner front This banner with a custom design quickly prodive a great visual impact. Delivered in a handy carrying bag ! FREE PRINT ! 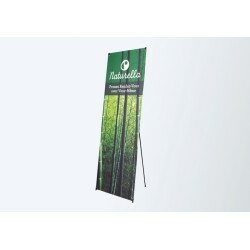 Roll-up kakemono with adjustable height : This kakemono with roll-up system and adjustable height is intended to facilitate the organization of your trade shows, fairs or exhibitions. Delivered in a bag for convenient transportation ! Free Printing ! 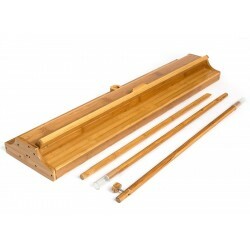 Discount ecological bamboo roll-up This bamboo roll-up will allow you to add a natural and warm tone to your stand, with its woody tints. This product is also completely ecological, because printed with biolaclite ink (natural corn ink). 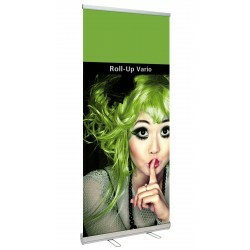 Size: 84 x 206,5 cms Printing included !Free delivery in 6 working days!Delivered in its bag of transport! Hight quality roll-up : This kakemono with a roll-up system has an adjustable graphic height as well as an adjustable preliminary spring tension. Ideal for your events of all kinds. Delivered in a bag for convenient transportation ! Free Printing ! 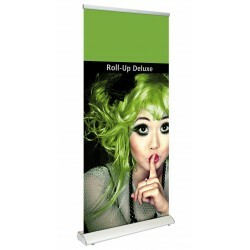 Roll-up kakemono This kakemono with a roll-up system will allow you to quickly insure you visibility during your exhibitions. Delivered in a bag for convenient transportation ! Free Printing ! 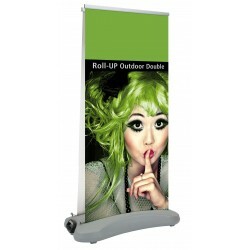 Outdoor roll-up double sided This kakemono is robust and designed for exhibitions, fairs and exhibitions outside. Delivered in a bag for convenient transportation ! Free Printing ! 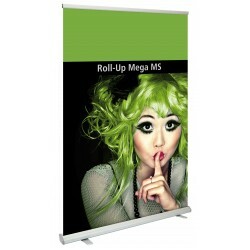 Mega Roll-up XXL This kakemono will help you to insure your communication in a very big size, for a maximum visibility. Delivered in a bag for convenient transportation ! Free Printing ! Looking for clients on your exhibition stand for low cost ? Banners are perfect ! 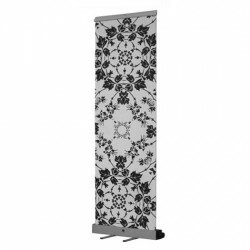 Easy to install, they provide your stand a visual impact that will allow you to show your business offers.